Other photos: Photo 1, Photo 2, Photo 3, Photo 4, Photo 5, Photo 6, Photo 7, Photo 8, Photo 9, Photo 10, Photo 11, Manufacturer Provided Image, Manufacturer Provided Image: Optional arrangement., Photo 14, Photo 15, Photo 16, Photo 17, Photo 18, Photo 19, Photo 20, Photo 21, Photo 22, Photo 23, Photo 24, Photo 25, Photo 26, Photo 27, Photo 28, Photo 29, Photo 30, Photo 31, Photo 32, Photo 33, Photo 34, Photo 35, Photo 36, Photo 37, Photo 38, Photo 39, Photo 40, Photo 41, Photo 42, Photo 43, Photo 44, Photo 45, Photo 46, Photo 47, Photo 48, Photo 49, Photo 50, Photo 51, Photo 52, Photo 53, Photo 54, Photo 55, Photo 56, Photo 57, Photo 58, Photo 59, Photo 60, Photo 61, Photo 62, Photo 63, Photo 64. "Reel Ledo" was built by a 3 time Ocean Yacht owner (48,52,54) and no money was spared and every box was checked. She boasts 3 full staterooms with 3 en-suite heads. The 54 was one of the last models to come out of the Ocean Yacht Factory and was a proven designed hull, which made for a great ride. 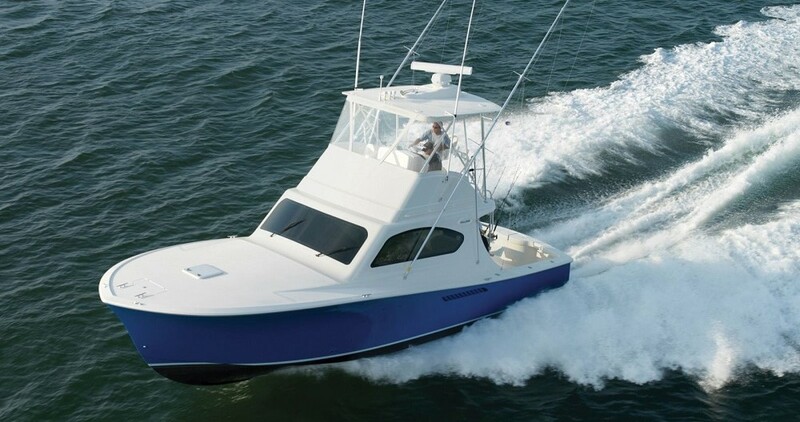 She is a One owner, well maintained tournament-ready sport fisherman with CATS, the C18s make for a very roomy engine room and easy access for maintenance. Owner's plans have changed and she is seriously for sale. This boat has been maintained by the original owner and has always been kept in great condition. She is the only 54 to have been built with the C18 1015 HP Caterpillars. She has cruised and fun-fished up and down the East Coast. She has a very complete list of equipment and is ready for its next owner. She is a must see for the discriminating buyer...a huge bang for the buck!